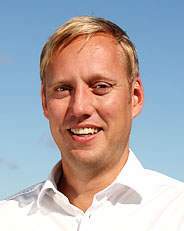 Lukas Smas is a Senior Research Fellow at Nordregio. He specialises in economic and urban geography, planning and policy. Lukas is also co-editor of European Journal of Spatial Development. Inspired by the work of the Globalization and World Cities Research Network (GaWC) on exploring connectivity values for cities through intra-firm office networks, the paper discusses the application and results from a related study that uses a 'modified Nordic-based bottom-up approach'. Cities are important strategic nodes in the global network economy, not least in terms of current policy discussions about city competitiveness. Their importance has resulted in numerous ranking and benchmarking studies focused on internal conditions and city assets. Research, however, has stressed global urban analysis, which examines how cities develop through external relations. Studying Nordic capital regions from such an approach raises questions about established geographical patterns and prevailing mental maps of the networks within which Nordic cities are embedded. A recent study by Nordregio, for example, shows important connections between the Nordic capital regions and not only cities in the new member states of the EU, but also cities in Central and South America and Asia. Recognising these relations has policy implications. It might therefore be time to rethink urban policy-making based on bounded territories and move beyond traditional city borders towards network-focused policies. For the past three years, Nordregio has sought to grasp the external relations of the Nordic capital regions. Our study has been inspired by the work of the Globalization and World Cities Research Network (GaWC), presented in Brita Hermelin's article The Elusive Question of Global Cities and Cities in Networks. We have analysed so-called intra-firm office networks in order to anticipate 'service flows' between cities. Since a direct measurement of the countless flows between firms (and cities) is hardly possible, this method can be used as a proxy for analysing the intensity of knowledge-based flows between office locations and, more generally, between cities in the world economy. The resulting network of intercity relations thus helps us to analyse advanced producer services firms as key actors in the world-city network formation. Intra-office networks are defined by the physical location and functional importance of an office belonging to the same firm. Nordregio designed a 'modified Nordic-based bottom-up study' and collected data on office locations and functions from 30-40 firms, in each studied sector, for the Nordic capital regions of Copenhagen, Helsinki, Oslo and Stockholm. In contrast to GaWC studies (i.e. Taylor et al 2010) that use global lists of large firms as a starting point (in this sense 'top-down'), we used a 'bottom-up approach' (see also Hall and Pain 2006). In this case, a bottom-up approach means that the Nordic capital regions were used as starting points, and then firms were identified. Only so-called 'non-local firms', which have at least one office in the Stockholm capital region and at least one other office elsewhere, were included. The study focused on two aggregated sectors within advanced producer services. The first comprised financial and market service firms, including financial and insurance activities, legal and accounting activities, activities of head offices, management consultancy activities and advertising and market research. The other sector was Information and Communication Technology (ICT) service firms including telecommunications, computer programming, consultancy and related activities, and information services. Only ICT service firms with a clear focus on services were included in the study. The capital regions dominate the Nordic network of cities. This is not surprising, especially given that the regions are functionally demarcated according to labour markets and commuting patterns. The Stockholm capital region, for example, extends beyond the county administrative border and includes Uppsala, the fourth largest municipality in Sweden (see Map 1). 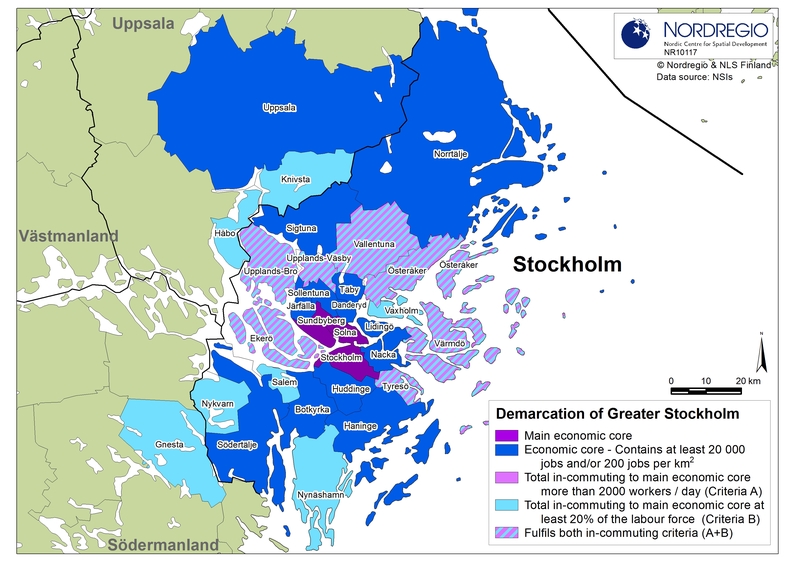 Map 1 The geographical scope of Stockholm capital region, demarcated according to labour market and commuting patterns. The functional region of Stockholm extends beyond the traditional administrative borders. Click to view larger image. In relative terms, the comparatively strong global significance of Stockholm, followed by Copenhagen and then Oslo and Helsinki, is confirmed both by our bottom-up and other top-down studies. The Stockholm capital region is the financial and market services hub in the Nordic area, but within the ICT service sector, each Nordic capital region is crucial. There are, however, stronger intercity connections between the Nordic capital regions, compared with intercity connections within each state. This is especially prominent within the ICT service sector (as displayed in Map 2). Map 2 Nordic intercity connections from a Stockholm perspective illustrated as a conceptual map. Large circles represent high intercity connectivity, i.e. that the city has stronger intercity connections with Stockholm, than a city with a smaller circle. The large green circles of Oslo and Helsinki mean the cities are highly interconnected with Stockholm through the ICT service sector. Click to view larger image. Our study indicates that the Nordic national urban systems are relatively monocentric, in that the capital regions clearly dominate. One explanation for this might be the unitary nature of the Nordic nation states compared, for instance, with federal systems. Another important aspect to consider is the relatively small size of the Nordic cities and states. The integrated history of the Nordic states has, as pointed out by Hermelin (2010), resulted in relatively dense economic, social, and cultural connections. This (comparatively) small and well-integrated market might require only a small number of offices from the firm's strategic decision-makers' point of view. In other words, many transnational firms serve the Nordic market with only one office located in the capital region, or one office for the entire Nordic market. When viewing Europe from the north, it appears that the Iron Curtain has rusted away. The European map of intercity connections does, however, appear a little different depending on which sector we consider. London stands out as the financial and market services hub of Europe but, when considering other European cities, a rather balanced west–east picture emerges. It appears that Nordic capital regions are well interconnected with the growing markets in Eastern Europe through the financial and service markets. However, the ICT service sector displays a rather different geographical pattern, with a stronger orientation towards Western Europe, with Paris as its European hub (see Map 3). Perhaps the most interesting and surprising results are found on the global scale. Our Nordic bottom-up approach gives comparatively more weight to cities in the BRIC states and other rapidly growing city regions in Africa and the Middle East, Central and South America, West/South-west Asia, in comparison with top-down approaches. The intercity connectivity patterns differ, however, both between the Nordic capital regions and between sectors. For example, the financial and market service connections of firms located in Stockholm seem to have a location pattern consistent with other top-down approaches and displays a rather traditional pattern. The ICT service sector, in contrast, displays quite a different pattern with strong connections to South American and East Asian cities, which the case Stockholm illustrates (see Map 3). Map 3 European and global intercity connections beyond the Nordic area, from a Stockholm perspective illustrated as a conceptual map. Large dots represent high intercity connectivity, i.e. that the city has stronger intercity connections with Stockholm, than a city with a smaller dot. The large green circles of Paris and Singapore mean that the cities are highly interconnected with Stockholm through the ICT service sector. Click to view larger image. Singapore is, interestingly, a global hub for the ICT service sector with offices in the Nordic capital regions. Other important cities outside Europe from a Stockholm perspective are dispersed throughout the globe: Bangalore, Beijing, Tokyo, Sydney, and Sao Paulo. It is important to bear in mind that not all cities in the world were included in the study and that important ICT hubs such as Boston and San Francisco were excluded. Another important aspect is that these maps and findings need to be understood as representations of strategic decision-makers within transnational firms that are based, for instance, in Singapore or Paris and thus do not necessarily consider the global market potentials of their firm from a Nordic point of view. Mapping and analysing global cities and business networks from a Nordic perspective challenges established geographical representations and maps as well as traditional policy frameworks. A focus on the external relations of cities and on networking firms and their strategic practices, instead of on absolute place-based attributes or internal city conditions, has implications for policy-making. To formulate relevant urban policies in the current global network economy, it is important to recognise that city regions develop through transnational business networks, and base their policy-making on external (as well as internal) analysis cutting across national, Nordic, European, and global scales and territories. However, policies, programmes, and projects with EU Structural Funds remain particularly eye-catching examples of organisation from an absolute territorial perspective. Another difficulty with discussing policies based on research on cities' external relations is that neither 'high' nor 'low' values of intercity connectivities provide any concrete indication of a city's economic performance, socio-economic well-being, or competitiveness. Nonetheless, a fundamental message for policy-making is that there is a need to take into fuller consideration such 'relational representations'. Before formulating network-oriented policies to complement 'place-based policies', it is important to interrogate the constitution of the networks and relations and what could be done to optimise them. From a research perspective, the modified Nordic bottom-up approach complements the results of other methodological approaches and provides additional network geographies of cities sensitive to scales and sectors. In this way, it contributes to the ongoing development of research approaches and analysis of the external relations between cities. The Nordic study has generated a significant amount of data that can be analysed and presented in various ways, but it also has the same methodological and structural limitations as the underlying methods of GaWC, which have been intensively debated – but also improved in several ways. In addition to more nuanced extensive methodologies, further research needs to include, in particular, qualitative in-depth studies in order to better understand the rationales behind the observed intra-firm networks. It is important for future global urban research to go beyond structures to focus on practices and to explore the contents of the 'spaces of flows' and the networkers.